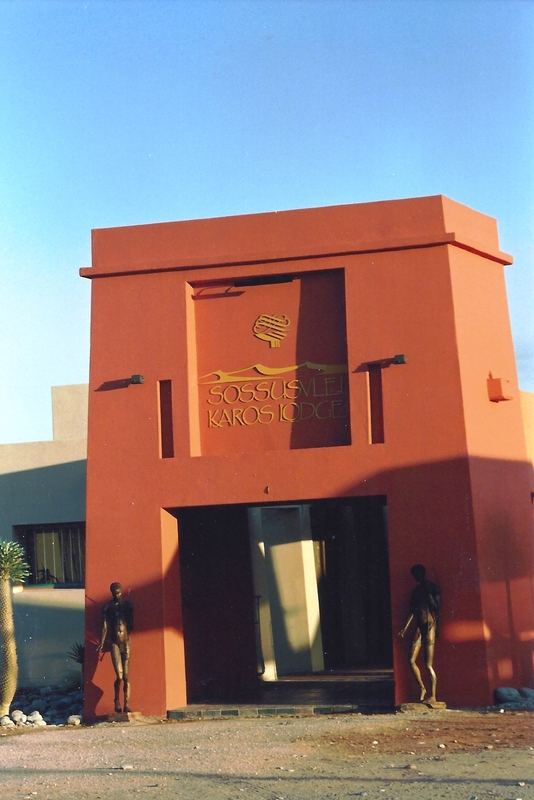 We were commissioned by Karos to design a luxury 90 bed lodge at Sesriem, 350km southwest of Windhoek. Our brief was simple: design a tented lodge, in keeping with the natural environment, that guests will remember, and wish to return to, without detracting from the beauty of the area. 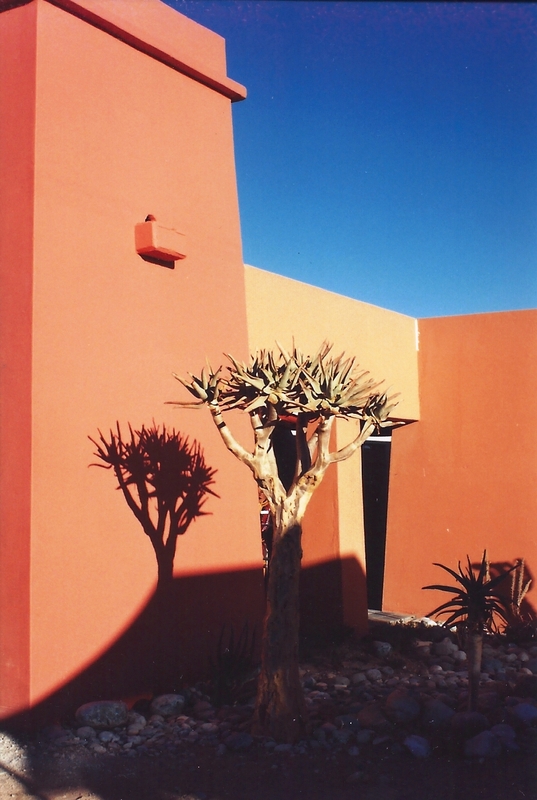 Our design exposes the visitor to the environment: the tall Naukluft mountains to the east and south, the majestic Namib to the northwest, the ever changing colours that makes this on of the most photographed natural environments in the world. 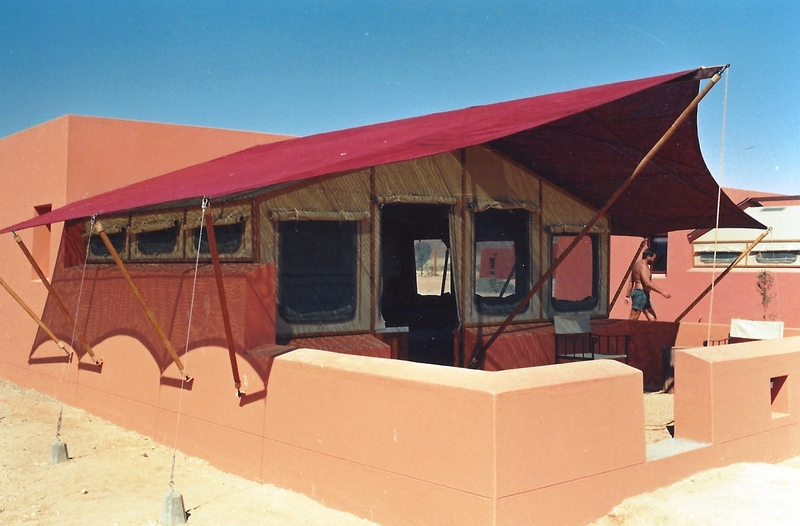 Elements reminiscent of other deserts in Africa were incorporated – the mud houses of Morocco and the tented camps of the nomadic tribes such as the Berbers and Bedouins. These were combined using the thermal properties of each to the fullest. The bathrooms are cavity wall brick structures with small windows, which will retain the heat of the sun and transmit it inwards in the cold winter nights. The bedrooms are custom-made canvas structures with a 180° view over the desert that cools down quickly in the summer once the sun has set. 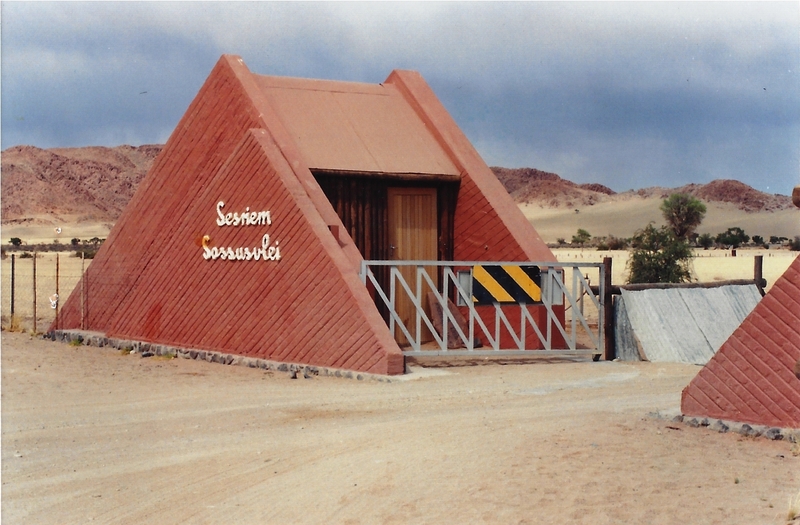 The east facing walls of the bedrooms are higher than the western walls to protect the visitor from the winter dust storms caused by strong winds blowing from the top of the Naukluft mountains, with wind speeds of up to 120km per hour. 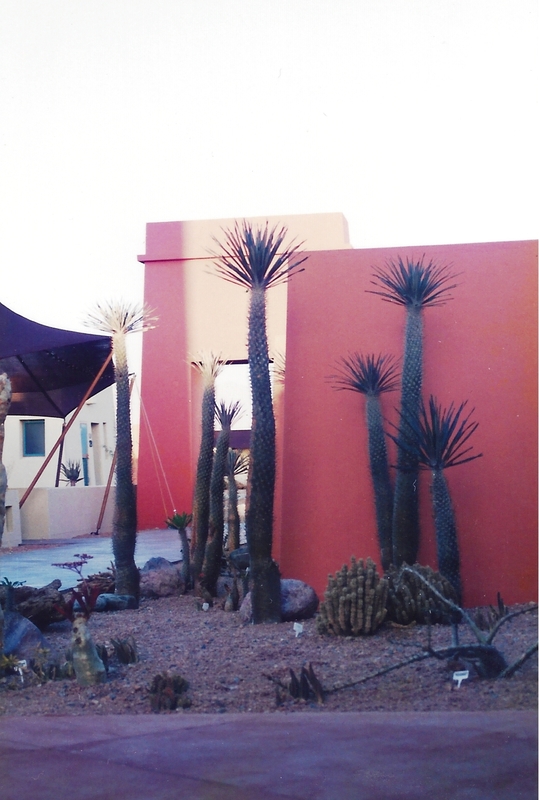 The design concept, being unique, made this a demanding and rewarding project. 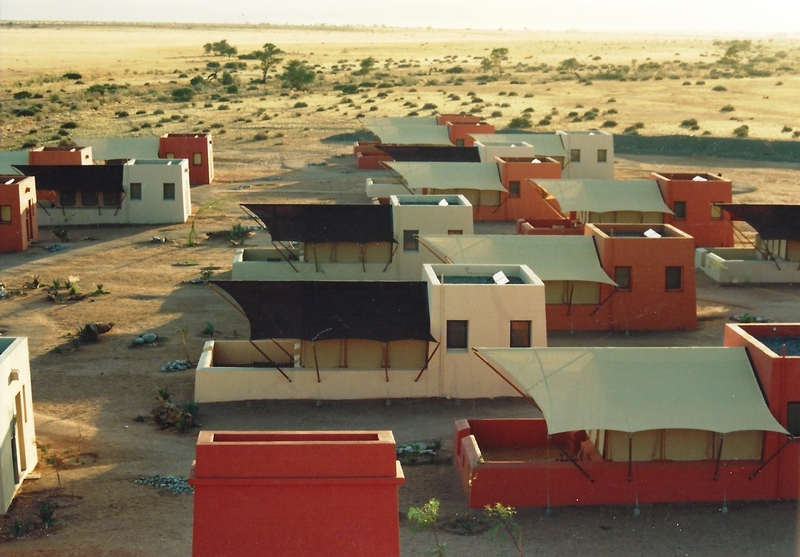 The client should be commended for proceeding with an experimental idea for a commercial venture in an endeaver to make it one of the very few ‘eco-tourism’ developments in Namibia.